This is my workstation, which i use in my recording studio, where i work, and live. It's working 24/7, and used for games, internet, films, and all other. Bought today Corsair RM850 - absolutely silent! Nice. Hello! If it's still in your build or if you just remember, could you tell me please which of the models you bought? RM850i, RM850x or something else? I'm also recording audio, so would prefer this silent PSU. Thank you! HX850i - had electronical noise, selled. RM850 - was silent, broken after 2 years. RM550 - was silent. RM550x - was silent. RM850i - had electronical noise. HX750i - is silent, using at this time. This type of noise is a lottery, but i think best chance to get absolutely silent psu - is corsair RMx series. You can buy RM550x, if dont use sli. I think this will be best choise. Thank you so much for your answer! I think i will try RM850x hoping it will work silently too, at least i can get it with 5 years warranty, so if it breaks, i'll replace it. I also wanted to ask you about your connection of your Fireface. Are you using a firewire pci card? I'm asking because i've heard firewire cards have problems on windows 10. I'm currently connecting my m-audio via firewire pci card on pc with win7, so worrying that i won't be able to buy an appropriate firewire pci for windows 10 on the new pc, which at least has drivers. Or, probably, it will be a problem to solve somehow. Or is your sound card connected via usb/thunderbolt/whatever else? I connect UFX, and 2xXTC through USB. Dont have any problems. I think Firewire is outdated interface. So you are recording in that room? With the case open? Build is absolutely noiseless. Even with case open. All fans are 200-300 rpm in non-gaming tasks. There are some recording equipment, which i added to this build. Only PC will cost much less. 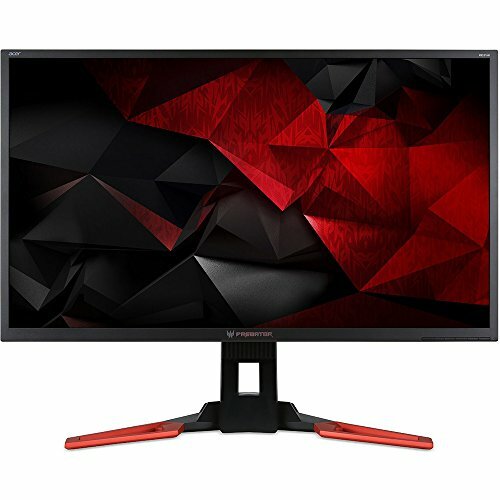 how good is that monitor in gaming ? Perfectly. I play all games at 3440*1440. Better the feeling of being, wide visibility. That monitor was broken at this mounth. After 2 years of use. What is that black thing sticking out of the top? Not the web cam the thing on the case. USB 4g adapter worked not very good.. Bought wireless 4G router, which much better. 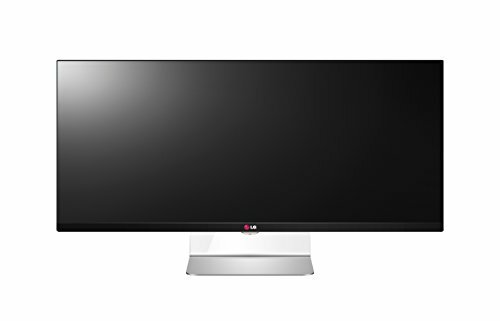 any pictures of the 4k acer display?? Palit GTX 1080 but Windforce Card in picture...? New card will arrive at this saturday. I will upload now pictures soon. Uploaded picture with new card. There's some items i don't even know what they are like RME Fireface UFX and RME Octamic XTC and Adam S2X? UFX - sound card, XTC - microphone preamplifier, S2X - speakers. This is StarCraft II Protoss Pylon USB Charger. Bought it at ebay. Yes, i have 3 pieces. I used 2xNoctua F12-PWM, and connected them to motherboard's Fan 2 socket. Rpm changing from gpu temperature. This will work, only if gpu and motherboard are from Asus. You have a rad build, sir! I love what you did with your graphics card, I plan on doing the same to my next card. Did that void your warranty on the GPU? Also, I see in the comments that you had used NF-F12 fans, but it looks like you upgraded to the NF-a12x25. Do you notice any difference in noise or temps after the switch? Fans can be mounted without voiding warranty. Yes, i changed fans to A12x25. They are much better in temps and noise than f12. How are your temps (and noise levels) now with the 9900k? And how do you like the XI Gene? 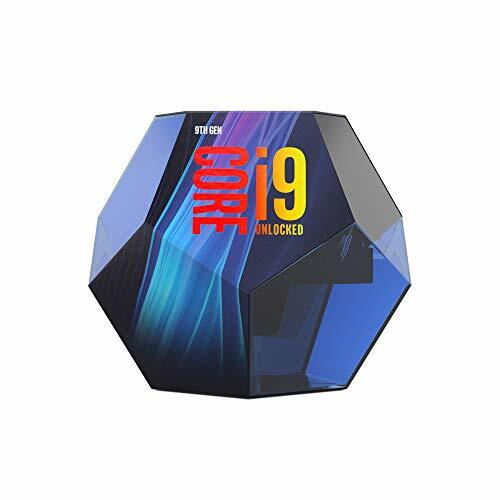 Hi, i just ordered 9900k and gene, new photos and temp/noise info will be after 2-3 weeks. Very cool - thanks for the reply, and I hope the new set up works great! I'm toying with the idea of a white Meshify / Noctua build with a 9900k or 9700k. But I'm thinking of putting 3 of Noctua's new nf-a12x25 fans as intakes in the front (instead of 2 x 140) and, for the CPU cooler, using a u12s with two of the new a12x25 in push/pull. In fact, I believe Noctua is planning to release a new u12s in Q1 2019 with that fan configuration and more heatsink surface area. I think that'll be an awesome product. I'm def working towards a very quiet but high-performance build. What are your thoughts about your two exhaust fans? Would you say that the one on the back is most important? How valuable do you think the top exhaust fan is in terms of temperatures (and, I suppose, silence based on ability to lower RPMs)? Either way, will definitely be interested in the update with the 9900k and that CPUs thermals. Thanks! Nice build, but why are there only three memory slots on the motherboard? That's quite a lot of foam in your studio, i'm jealous of your budget. EDIT: quite a lot of egg cartons. Egg cartons are temporary solution. Professional soundproof in the studio is very expensive. I mean professional soundproof cost big more than 15k. 980 ti would have been a better decision man. It is not too late! Return those things and get dual 980 TI. Those things are for professional work. They run off the same chip as titan x except less vram and cuda cores. titan x was not actually intended for gaming (this comes as a shock to many) but it was rather a less expensive quadro with less pixel accuracy for content creation which the titan x makes up for it in some in-game performance thus the idea that it is a gaming card. Go with those 980 ti windforce cards. 650 bucks for dual titan x performance (a little less) And since directx 12 will allow vram stacking, (this is also a shock and everyone will say "no sir, vram never stacks") you will have 12gb of total vram and two titan x chips to run your professional programs. Hats off though for the phantom case, 4790k, lg widescreen monitor, and choice of gigabyte gpu. Upvote! Hello! I have bought GTX980 cards in last year for low price. GTX980Ti are very expensive today in Russia. We have very high dollar rate today, + 50-75% of normal cost. And i don't use Graphic cards for professional programs. Only for games. For sound recording i use sound card RME Fireface UFX. I was just wondering why you didn't go with an AMD graphics card? 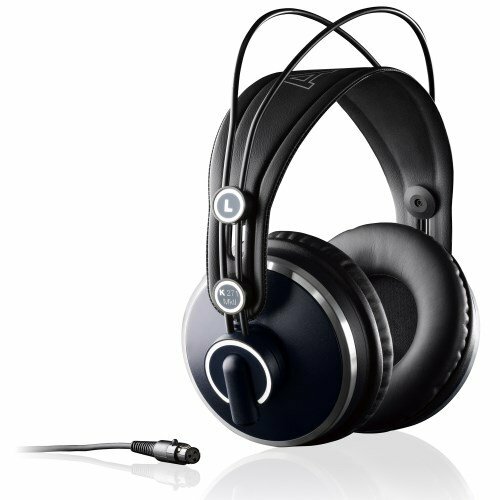 (285,290,290x,295x2) they have true audio which works for games and recording things like your voice or instrument. The cards are old so I can understand why. Graphic cards can't be used for professional sound recording. I use pro sound card RME Fireface UFX for that. 6700K is 3% faster than 4790K. Upgrading is not justified. 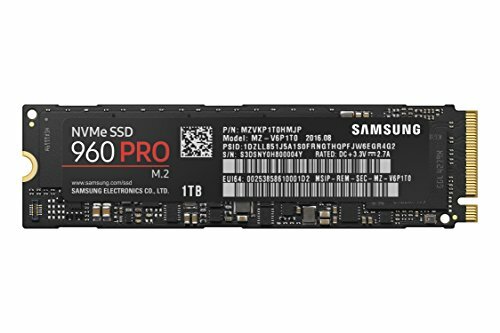 May be will upgrade to i7-7700K. That RME rig is spectacular!! I use UA Apollos, but my partner in business uses RME. So I know the badassness of the equipment. One thing... If you can 15 grands on one PC to game and watch videos, why not split that in to two rigs, one for work an one for gaming. The reason why I say this is because, as a professional, having a multi-purpose computer is never a good idea. I know there are mixed emotions and various opinions on that, but I always strongly recommend to upcoming artist to always separate their machines so drivers and functionality won't overlap causing, very often, system failures and various problems. I mean...the built is impressive, for sure! But I would spend 15 grands (and I did) on a Server slave PC where you need more than 128GB or ram ECC and dual processor ( I have two 8-cores for a total of 16-Cores Xeons). Hello. I don't have any problems with multi-purpose computer. Some NZXT cases making yelow under the rays of the sun. When you spend so much on a build that you can no longer afford sound proof padding so you just resort to using egg cartons. Well they weren't just gonna throw em away! I don't care for the case, but the noctua colors look good with white. What's your GPU setup you have going on ? I mounted 2xF12PWM fans to GTX 1080. Ultra low noise, and perfect cooling performance. Nice, but how did you mount them to the stock heat sink ? I used plascit ties. Visually found something to catch. Ah, I see now, very clever ! I wanna see you really commit to the noctua colors and buy a heatsink cover and paint it traditional noctua colors. I like raw nickel color radiators with no any covers or painting) They are beauty and brutal. And ideal looking with traditional colored noctua fans. 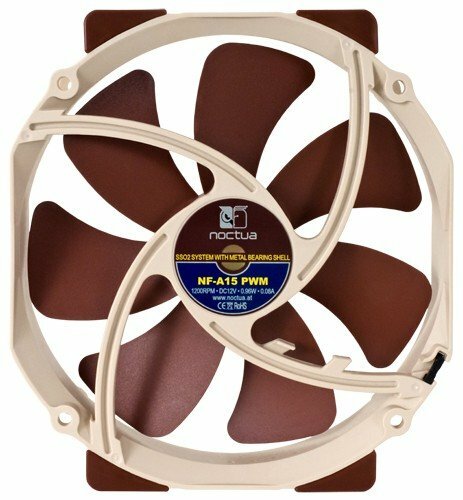 I like noctua color scheme, and noctua fans have a good performance and very quiet. Why is the audio interface so expensive? What does it even do? This is professional audio interface for audio recording. How does this one make it better though, than say a $200 one? The same thing a mining dump truck does against a car. Ordered from local russian distributor. Hi love the easter EGGS (cartons and starcraft pylon). Could you upload photos with your maximus xi gene + i9 9900k please? :) Also looking forward to your response on temps with those two components. I waiting ordered cpu and mb, will upload new photos soon. GDay, Can you fit 2x 2280 M.2 Drives under that vertical heatsink? noctua fans look pretty ugly imo. But great build and you should have gone for a 1080 ti or a 2080 but anyways good job. 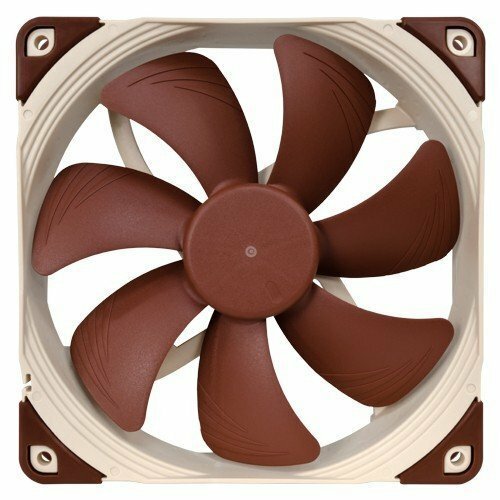 Noctua fan scheme is pretty cool, and your comment is pretty ugly imo. How did you repost your build while keeping all your old comments and likes? I just edited part list. so you do that by editing your completed build by uploading a new part list but keeping everything else? that's a sick mod to the GPU fans. any link to a guide I could use? i found guide at google, key word "GPU noctua mod"
Hi, i heared some coin whine when i had previous case and used it with side panel opened. In Meshify now i dont hear any coin whine. If u mean integrated audio, i dont us it, and plug speakers and headphones into prof sound interfase, and i dont have any coin whine sounds from there. This is a long thread... Nice build, please share more pics! I would suggest a GPU stand to remove stress from PCI-E and MB. They aren't expensive and do the job! I tried to use gpu stand, but gpu sagging is not too much, about 2-3 mm. I measured it, and it is 2-3mm. Your see is not correct. And i never had problems with pci-e slots many years before with strix cards. With that big of a budget couldn't you have gotten sound foam instead of egg cartons? Work at subway for the next 10 years. PC is about 3000$, other is monitor, peripheral, and sound recording equipment. 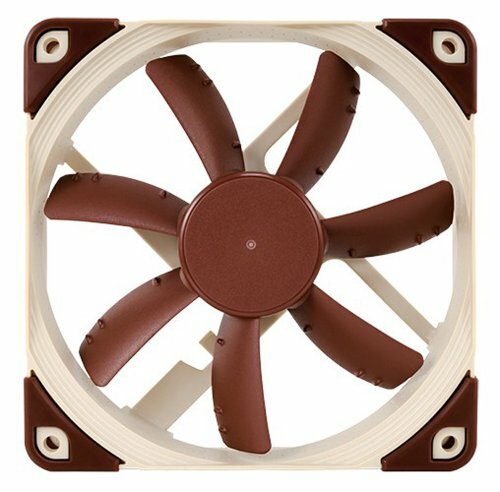 Noctua fans have best performance and perfect looking. Love them. They are main idea of this build. If you save up enough money will you spend it to buy foam to replace the cartoons or what will you spend it on? 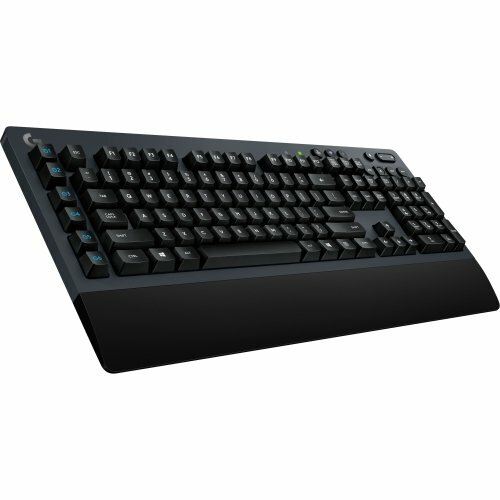 Microsift Natural Ergonomic Keyboard is very nice to use. Love it. 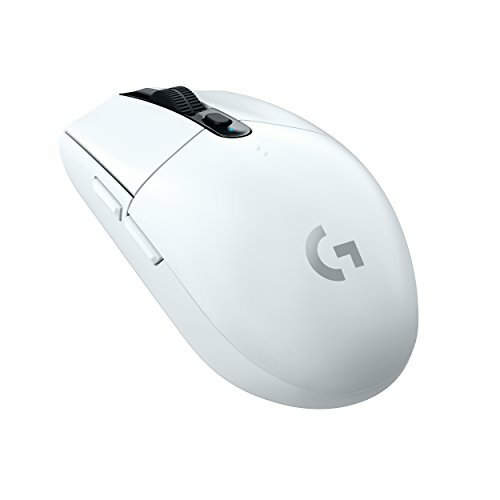 Mouse for 2 bucks.. i'm waiting for it will be finally broken. Idk what the hell this guy is talking about, and neither does he. OP, good build. I whink this is spam. How do you like windows ? I can understand apple thing. But liking windows ?! Why can't you stand it. Because nearly every game and software out there is for windows, and there is literally no reason to waste space for things other than games or recordings since this is a workstation/gaming rig. Productivity doing what? And for the file system, it's rather easy as you can organize it how ever you want. For me, I have my pictures in a picture folder, my documents in a documents folder, and everything else in the place that it goes, which I have quick access in explorer. 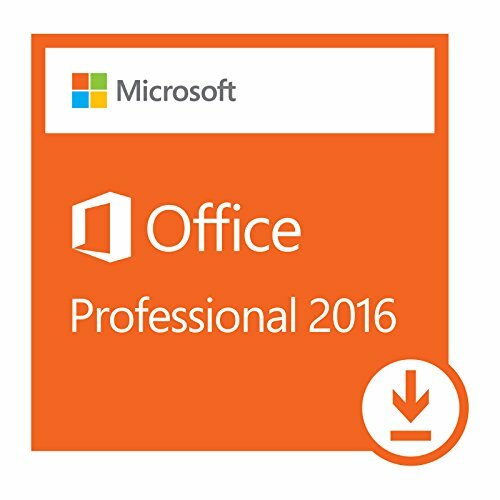 Although in windows 10, productivity for me dropped. The main reason why I choose Microsoft over Apple, is because atleast Microsoft listens to and cares about their community. Apple pretty much says f**k you and makes products that aren't upgradable (iPhones don't have a micro SDcard slot for a reason). Microsoft even has a feedback application in windows 10, and they have been listening well. Does hackintosh even support dual GPU's? Other than that, in terms of dualboot a dual boot linux-windows system is pretty sweet aswell. Actually no, all you have to do is disconnect SLI bridge though. So your answer is to disconnect the SLI bridge which takes you from two GPU's down to one GPU and wastes $500 dollars? hackintosh is for the everyday joe pc is for ENTHUSIASTS ONLY . **** you apple users pc is life :)!!!!!!!!!!! Please excuse this 15 year old. Growliff, Look, I've been reading what you have had to say and I think it really boils down to a bias because of exposure. You say that PCs are worse for getting viruses and hackers. Show me data to support that that doesn't also lean on the fact that there is just a severe usage gap between the two. Since Windows XP SP2, Security has been at the top of the priority list - and of course, you're still going to hear the horror stories, but apple products are certainly not impervious to being compromised. You also say that you have a harder time finding files on Windows... Well that just comes down how you structure your folder and filing system and again, exposure rate. I can equally say that I have a harder time finding my files on my college's Mac Pros than I do on my PC. That's a combination of preference and willingness to learn. You also say that Microsoft is a "money hog". Can you honestly say that more so about Microsoft than about Apple? Can you explain to me how selling a gold plated smartwatch for ten thousand dollars, who's usefulness and functionality actually underwhelmed the market on launch, is not being a money hog? Growliff I think you have some preconceived notions about Microsoft that combines with the stigma that Microsoft gathered in the earlier Bill Gates days that gives them a bad taste in your mouth. You should really take a look at the initiatives they are taking lately. They are incredibly focused on productivity, health, education, and general well-being as a company in whole. I very seriously cannot say the same about apple. Thank you. I like UM95. I have no problems with it. There is some uneven backlight, but it is no critical. I didn't make any colour calibration. Out-of-box calibration is good. Plugs it, and play.